Invisalign is effective for patients of all ages, including children! People of any age can use the system of clear aligners to get a healthy bite and achieve their dream smile! Innovative Orthodontic Centers is one of the first in North America to offer Invisalign First, which is Invisalign for growing patients, and Invisalign with Mandibular Advancement for those with an overbite. Invisalign is NOT just cosmetic Invisalign and braces have the same insurance code since they both address a patient’s functional needs and improve their bite and oral health. If you have orthodontic benefits or coverage, you can use it in our office for your Invisalign treatment. Invisalign is similar in cost to braces At Innovative Orthodontic Centers, we don’t want our patients to pick a treatment based on its price. That’s why our Invisalign fees are very similar to our braces fees. Also, by choosing Invisalign, we can often skip using certain appliances, making it even more cost effective than braces. Since the Invisalign trays are removable and there are no brackets and wires in the way, you can brush and floss effectively, which is why our Invisalign patients’ oral hygiene is impeccable. Be sure to take the trays out when drinking sugary drinks and before eating. Then, brush your teeth before putting them back in. Invisalign can be effective for EVERYONE! The truth is, if you’re a candidate for orthodontic treatment, then you’re a candidate for Invisalign. We’ve treated more than 1,600 patients with the clear aligners and we have the knowledge and experience to apply orthodontic principles to treat any patient with any degree of complexity with Invisalign! www.innovativeorthocenters.com WE OFFER COMPLIMENTARY CONSULTATIONS! unstoppable Walk-In Clinics for minor scrapes and Immediate Care Centers for stitches and sprains. No appointment necessary. Open 7 days a week. Home of tHe 7 Year WarrantY! OVER 165 SHOPS, RESTAURANTS, SPAS AND HEALTH & BEAUTY OPTIONS! 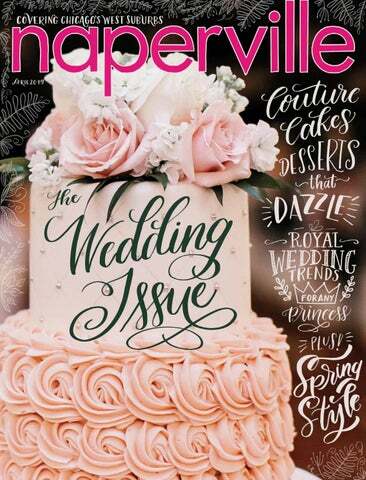 Naperville magazine adheres to American Society of Magazine Editors guidelines, which require a clear distinction between editorial content and paid advertising or marketing messages. 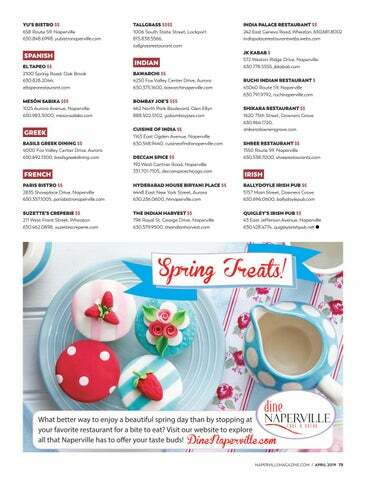 Naperville magazine (Vol. 15, No. 4, April 2019) is published monthly by Chicago magazine, 160 North Stetson Ave., 4th Floor, Chicago, Illinois 60601, a division of Tribune Publishing. Unless otherwise requested, submitted materials become the property of Naperville. Statements, opinions and points of view expressed by the writers and advertisers are their own and do not necessarily represent those of the publishers. We cannot assume liability for any products or services advertised herein. 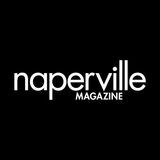 Naperville magazine assumes no responsibility for the return of unsolicited materials. Standard class postage paid at Aurora, IL 60504. Subscriptions: $11 for 12 issues. Printed in the USA. All rights reserved. 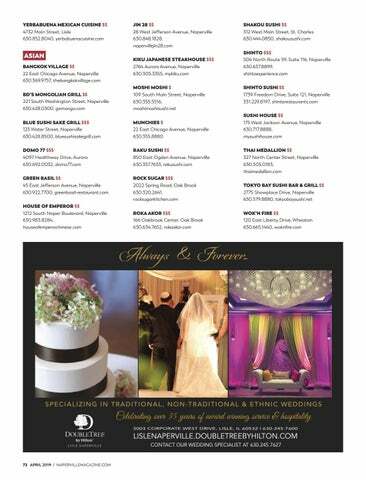 Postmaster: Send address changes to Naperville magazine, 495 North Commons Drive, Suite 102, Aurora, IL 60504. Â© 2018 Naperville magazine. All rights reserved. Reproduction in whole or in part without prior written permission is strictly prohibited. Mention This Ad For A Complimentary Varicose Vein Screening. We use the latest venous technology. We also take most insurances. BEHIND THE STORY If you are reading this lifestyle magazine, you know who Marie Kondo is. Youâ&#x20AC;&#x2122;ve likely read one of her three books, or watched her Netflix series, Tidying Up With Marie Kondo. She is renowned for her transformative process, the KonMari Method, of clearing away piles of clutter from every inch of your home. She encourages mindful tidying by category, keeping only things that spark joy to the heart. This month we took her movement one step further, focusing on building an entire spring wardrobe that sparks joy (p. 84). This joint collaboration produces the best spring cleaning results ever: Step 1, purge. Step 2, shop. Step 3, slay. Comprehensive vein care without the super sized hospital bill. maximize your outdoor living space. y parents were married in Southern California in 1969, and their marriage has survived five decades of ups and downs, including a cross-country move for a job my dad landed in Chicago. Although that sales position is long gone, my parents stuck around my sister and me—and each other—and it was a joy to celebrate their 50th wedding anniversary this year. I was curious about the odds of long-lasting marriages, and I found data that suggested that only 7 percent of current marriages have lasted 50 years. But most married people have not been alive long enough to hit the 50-year mark. When you isolate people aged 70 and older, the percentage rises to 54 percent. But something as nuanced and complicated as developing—and sustaining—a lifelong relationship can’t be defined purely by the absence of death or divorce. The commitment of two people, who manage to navigate 50 years of life together, cannot be lauded enough. This issue is dedicated to all of us who are trying—or have tried—to make marriage work. The benefits (mental and financial health, family stability, and happiness) are real, but achievement is hard. Congratulations to all of the husbands and wives out there, scratching our way to whatever anniversary comes next. Each one is a milestone to celebrate. e found some solid advice for brides-to-be in our February 2006 feature, “Attack of the Killer Bride.” Tina Blake’s kitschy and humorous piece begins with a recommended Surgeon General’s warning on engagement rings: This diamond may cause narcissism, mood swings, and divalike behavior. Eloping now greatly reduces risks to your friendships and familial relationship. Her tips allow the rest of us to perpetuate the Bridezilla stereotype, while enjoying a few laughs: 5 RULES FOR NEARLYWEDS 1	Recite the alphabet every time you feel the urge to discuss your special day—not everyone wants to debate the merits of a disc jockey over a live band. Designate wedding-free hours; engaged couples should prohibit talk of their ceremony or reception after 10 p.m. Accept the fact that, ultimately, something will go wrong on your wedding day. That’s why most receptions include free alcohol. Don’t expect parents to take out a second mortgage for top-shelf liquor or a white dove release. Those funds would be much better spent on a killer honeymoon. If you find yourself suffering from Bride-itis, it’s time to get help. INFLUENCERS, EVENTS AND ISSUES ON OUR WEST SUBURBAN RADAR “At the end of the show, you don’t see a single phone out because everyone’s talking,” Dee said. “We want people to walk across the room to start a conversation.” Potential presenters can share their ideas on The People Tree’s website, thepeopletree.org. Founders select stories, then help storytellers hone their style and message. The shows sell out all 220 restaurant seats at Empire Burgers & Brew. “Everyone has this perception of Naperville, but by having the show, we’re showing the depth and breadth of the community,” Prasad says. “It’s such a beautiful thing.” Each night, eight storytellers deliver on a theme, such as April’s motif of “Lies, Confusion, and Practical Jokes.” Stories range from lighthearted to poignant, with diverse takes on the topic. “It’s a cliché, but it’s like a roller coaster with some thrills, some uncomfortable moments and anticipation,” season subscriber Susan Cheng says. “As the audience, we get taken along. It’s like listening to a good friend.” The People Tree shows start the same discussions organizers experienced in Prasad’s living room. Find out what makes our process so stress-free. Must be redeemed 6 months from date of purchase. April Product of the Month Try our stunning Spring anti-aging neck and decollete combination! Total Defense and Repair Super Sunscreen and TNS Recovery Complex. DuPage County and is the dominant tree in most of the county’s forests and woodlands. It provides more value than any other tree. “In the Chicago region, oaks provide more than $2 billion worth of flood control and other water management services,” says Andrew Hipp, a senior scientist in plant systematics and herbarium curator at the Morton Arboretum. But “today, oaks need our help. With only 17 percent of ancient oak forest area remaining in the Chicago region and similar oak loss throughout the world, human intervention is critical to ensure we don’t lose this important species.” PLANTING AN OAK White oaks can grow 80 to 100 feet tall. If given space to spread, the branches will create a massive canopy as wide as the tree is tall, making it an excellent shade tree. Shonts says to pick a spot where your tree will have plenty of room to grow. Make sure the tree is planted at least 20 feet away from above-ground wires, underground pipes or wires, sidewalks, and permanent structures like your home or garage. The white oak can be found in every county in the state. It grows best in upland areas and on slopes. It is not a tree that grows well in wet soil. Shonts suggests making the planting hole two to three times larger than the root ball to allow the new tree’s roots to spread out. Then position your tree so that the area where the roots meet the trunk is at or slightly above the ground. After watering, cover the planting hole with two to three inches of shredded hardwood or leaf mulch. Shonts warns: Do not over mulch the tree or “volcano” mulch, keep it two to three inches away from the trunk. Be sure to provide proper tree maintenance for strong, healthy growth. White oaks are subject to leaf eaters and other bark diseases. has been selected as a 2019 Super Lawyer. By Jennifer Cody Epstein (Crown) As the Nazi party tightens its grip on Berlin, Ilse and Renate find their friendship under siege—and Ilse’s involvement in the Hitler Youth movement leaves them on opposing sides. This unflinching exploration of Nazi Germany, and its legacy, is a portrait of an unspeakable crime and a contemplation of womanhood and wartime. By Louis Bayard (Workman) When Mary Todd first meets Abraham Lincoln, he is on no one’s shortlist to be president. He’s a country lawyer lacking money and manners, with a gift for oratory. Rich with historical detail, the complex portrait of Mary and an evocation of the unformed man who would grow into one of the nation’s most beloved presidents. See the “To Do” Literary events for upcoming book signings in the area. By Sarah Knott (Sarah Crichton Books) In this original interpretation of mothering, Knott weaves a tale that begins with her own story, before expanding into maternity in other places and times through a trellis of tiny scenes to create a moving and visceral depiction of mothering—past and present—as both a shared and varied human experience. By Taya Kyle and Jim DeFelice (Harper Collins) Taya Kyle entered a period of inconsolable grief after losing her husband, Chris, but this darkness served as a catalyst for growth. Working with American Sniper coauthor DeFelice, Kyle tells her own story and others, about Americans who have built extraordinary lives after traveling down life’s most difficult roads.  coffee and ice cream. Take in the new look of Front Street and see Spring in bloom in Downtown Wheaton for yourself. Settling down Wheaton is the county seat of DuPage County and was named for two of its settlers, Jesse C. Wheaton and Warren L. Wheaton. French fun Stroll open-air booths selling flowers, produce, gifts, and edibles at the Wheaton French Market, open 8 a.m. to 2 p.m. from mid-April through mid-November at Liberty and Cross Streets. Dry times The City of Wheaton was famously dry for nearly 100 years, having banned alcohol sales from 1887 until 1985. College town Wheaton has two Metra train stops on the Union Pacific West Line: one in downtown Wheaton and a second at College Avenue, near the campus of Wheaton College. meter event and fourth in the team pursuit. Since retiring from competition, the Swider-Peltzes have visited local schools to speak about navigating the successes and failures of competing as elite athletes. As of press time, Jeffrey Jr. had just completed a speed skating-inspired gallery show as part of his senior project as a studio art major at Wheaton College. After graduation, he plans to work as a freelance artist and promote his own clothing line, Uesay Apparel. Nancy Jr. coaches beginner speed skaters and also hand-makes leather journals and engraved wooden art pieces sold through her online boutique, NancyJr.com. Starting At Includes CT Scan, Implant, Abutment and Crown. Begin in a pushup position with one knee bent in towards your chest and the other leg straight. (The foot of the straight leg should be wider than shoulder width apart.) Jump feet in the air and mirror the starting position with the opposite leg. Land softly on feet and continue for 20 seconds. Begin in a half-kneel position with your right leg out and your left knee on the ground. Lift your left knee off the ground and keep it as close to the ground as you can and hold for 20 seconds. Repeat on the opposite leg. Begin in a plank position with elbows slightly out in front of your shoulders. Once knees are lifted, squeeze glutes and drive elbows toward toes. If you’re doing this correctly, you’ll feel your abs fire up in a plank like never before! From plank position, drop into a pushup, keeping elbows tight to body. Drive body away from the ground, leading with hips toward ceiling. Sink heels down and push head through arms, as in downward dog yoga pose. Return to pushup position and repeat. Begin in a pushup position. Walk hands in as close to toes as possible, while keeping legs straight. Walk hands out away from feet, back into pushup position. For an extra challenge, see how far out you can walk your hands past your shoulders. Hips stay at shoulder height throughout the exercise. Stand with feet shoulder width apart. Bend knees and squat, push ground away quickly, and reach up with your hands. Repeat for the entire 20 seconds. In a standing position, hold hands next to thighs, as if you are holding a jump rope. Begin hopping up and down off the ground, landing softly on your toes. The faster you go, the harder this will be! SPECIAL FINANCING FOR 12 MONTHS! * *With approved credit. Call or ask your Designer for details. Not available in all areas. Licensed and Insured 2018 © All Rights Reserved. Closets by Design, Inc.
As a veteran of the U.S. Army 101st Airborne Division, South Vietnam, Mr Greenberg proudly supports our troops. NAPERSCENE 1 Mother of four Katrena Card spoke at the event about the inclusivity of Variety events. 2 Jay and Dayna Nguyen. 3 John and Dr. Alicia McCareins. 4 Variety of Illinois Board of Directors. Anderson, host of the nationally syndicated radio show Hollywood 360, is a member of the Chicago Film Critics Association, Broadcast Film Critics Association, and a voting member for the Critics’ Choice Awards. Mary Poppins herself was even on hand to distribute the charity’s 2019 collectible gold heart pin. “The real winners of the evening are the special needs kids we are raising money for,” Adamson says. All of the evening’s proceeds support Variety’s efforts to improve the quality of life for children with disabilities, by providing the equipment and experiences they need to reach their highest potential. 1 Executive Women’s Council members. 2 Vicki Jobst (right) with friends at Cup of Hope 2019. 3 Janna Sampson, Kathleen Ross, and Eileen Rico. orthern Illinois Food Bank’s Executive Women’s Council held its fourth annual “A Cup of Hope: A Garden Tea to Solve Hunger” fundraiser on Sunday, March 3, at Embassy Suites in Naperville. Over 300 guests enjoyed a traditional afternoon tea party, complete with an extensive tea selection, finger sandwiches, scones, and pastries. Guests sipped on Prosecco as they perused silent auction and raffle items. Speaker Jill Kilhefner, who is an advanced master gardener, a registered dietitian, and an amateur beekeeper, educated the group on the importance of bees and other pollinators in home gardens and beyond. Event proceeds benefit the food bank’s child nutrition programs. “We’re so excited to once again raise funds for child nutrition programming … and are so grateful for the outpouring of generosity we see each year from the community during this event,” says Executive Women’s Council member Gail Hernly. Last year, the food bank distributed 1.6 million meals in 13 counties through its backpack, after school, supper, and summer meal programs. Kids and golf? We got this! The game of a lifetime starts at Cantigny Golf in Wheaton. • Professional instruction for ages 4 and up at the Cantigny Golf Academy • Cantigny Youth Links 9-hole course just for kids • One-week PGA Junior Golf Camps, full-day and half-day • High-school golf preparation clinics • PGA Junior League team play • Fun and focused learning environment Learn more at CantignyGolf.com or call the Academy at 630.260.8199. Register your child today! Register for multiple camps for a full Summer of FUN. Offering Summer Camps and Classes in Music,Theatre and Dance for All Ages! Now Open! Created by Children’s Museum of Pittsburgh in partnership with The Fred Rogers Company. DANIEL TIGER’S NEIGHBORHOOD © 2019 The Fred Rogers Company. All rights reserved. 5 CITIES WITH KIDS Plan a family-friendly adventure (or five) with this Midwest road trip plan featuring each of the states surrounding Illinois. Go north, south, east or west for a summer vacay that appeals to all. Naperville owned by Travis Meils and his wife, Natalia. The couple started the business in 2009 supplying chair covers and table linens, and found a market as the country was recovering from the recession. “A lot of banquet halls weren’t remodeling their spaces or buying new chairs,” Travis says. “Everybody wanted covers for the chairs that weren’t looking too fresh.” Over the years, the business has grown to include backdrops, ceiling and wall draping, lighting, chandeliers, trees, dance floors, centerpieces, and anything else needed to turn a run-of-the-mill space into something truly magical. “Over the years we just kept adding things. We’d get requests from brides and we’d say, ‘Why not?’ ” says Travis. “The draping really transforms a space,” adds Natalia. “You can make the VFW look like a totally different venue.” Travis, who previously had a landscaping business, had been studying for his pilot’s license when they started the the Satin Chair. Natalia, who is from Ukraine, had worked in marketing and business, but always had a passion for decor. She used to decorate her church for the holidays. “We always had to come up with something from scratch,” she says. “My country didn’t have all the amenities this country has.” The Satin Chair often works with clients who’ve pored over Instagram and Pinterest looking for ideas that will make their weddings stand out. Natalia says people often think they will not be able to achieve the look they yearn to have. “They’re seeing all these things, but they don’t think it’s affordable or reachable, or that it’s too hard or complicated,” notes Natalia. “But we can create any vibe they want.” The Meilses agree that most couples want a wedding that isn’t cookie-cutter. “They want the room to feel like it matches their characters,” Travis says. “They want it to be very personalized.” The business has planned weddings with many different themes. For a Game of Thrones wedding they decorated in grays and black with red lighting. For another with a winter wonderland theme, snowflakes were projected on the walls. And a couple who loved the Beatles enjoyed a projected yellow submarine on the dance floor. An outdoorsy look is a very popular request for clients. The zoo is a unique and beautiful place to host a wedding and reception that guests will talk about for a lifetime. Extraordinary experiences, such as cocktails among exotic animals, elegant dining, and exceptional culinary delights, will provide an unforgettable setting, as well as an amazing memory for your friends and family. E-mail CateredEvents@CZS.org or call (708) 688-8355. Imagine the wedding of your dreams! Extraordinary. Exotic. Elegant. A S P E C I A L D AY DESERVES A SPECIAL PLACE. “We can create an organic vibe with a lot of trees that cast shadows on the ceiling and walls,” says Natalia. Turning a couple’s ideas into reality starts with an appointment at the Satin Chair. Appointments last anywhere from half an hour to three hours, depending on how much help the couple needs to express their vision. The company uses demonstration tables and switches out linens and other decor items to give couples an idea of how the finished product will look at their wedding. 25% OFF 2019 WEDDINGS E X P I R AT I O N D AT E D E C E M B E R 3 1 , 2 0 1 9 . S U B J E C T T O AVA I L A B I L I T Y A N D R E S T R I C T I O N S M AY A P P LY. N OT A P P L I C A B L E F O R E X I S T I N G CO N T R AC TS . OPERATED BY JANKO HOSPITALITY UNDER LICENSE FROM MARRIOTT INTERNATIONAL, INC. OR ONE OF ITS AFFILIATES. IMAGERY COURTESY OF BEING JOY PHOTOGRAPHY. HOME The fireplace surround features 12-by-24-inch tile, which is a nod to the modern aesthetic, flanked by texture created with white-onwhite millwork and geometric artwork. Bowman kept some of the larger furniture pieces in the home neutral, so pops of color could be incorporated into artwork and accent pieces. Most furnishings in the home are new, says Bowman, as the couple didn’t bring a lot from their starter home in the city. She helped them choose comfortable, but refined, pieces that weren’t too fussy, including this John-Richard console table, a Bernhardt sectional, and Caracole accent chairs. A close look in the kitchen reveals a two-tone treatment that “creates some visual interest in the space,” says Bowman. The hue of the refrigerator and hood provides contrast to the white cabinets, as do the door style and hardware in the refrigerator column. Another design solution that Bowman used was a pie-shaped island to help circulation in the space. “It’s larger, so it can be used for entertaining, but if it was a square or rectangle, it would cut into the area where you would walk,” says Bowman. Free champagne you mention this ad. Free champagne toast toast when when you mention this ad. FIRST-CLASS FIZZ Pop these award-winning sparkling wines at your next special occasion Styled by Jennifer McDonnell Pure Champagne flute by Schott Zwiesel from Pier 1, $13.95. Louis Roederer NV Brut Premier ($53.99, Peterson Spirits & Fine Wines) is a fullbodied French cuvée (Champagne blend) with red berry, citrus, and honey notes. WS reserve coup from WilliamsSonoma, $14.95. Harrison ice bucket with tongs from Pottery Barn, $79. Air cocktail coupe from Pottery Barn, $108/set of 6. Notes of almond and hazelnut accompany pear and apple in Piper-Heidsieck’s Cuvee Brut ($79.99, Malloy’s Finest Wine & Spirits), which has won gold in multiple international wine competitions. A vibrant pink hue sets J Vineyards & Wintery’s Brut Rose ($45, SixtyFour–A Wine Bar) apart, as well as its creamy mouthfeel with ripe strawberry, Bing cherry, blood orange, and lemon meringue notes. Modern elegance for a truly unforgettable experience... perfectly close to home. Call 630.530.0202 or email Ruth at r.wojciechowski@drurylane.com • drurylane.com • 100 Drury Lane, Oakbrook Terrace, IL CONNECT WITH US ON SOCIAL MEDIA! he Alive Center in Naperville is bringing its free teen drop-in hours for sixth to 12th graders to the Fry Family YMCA in south Naperville as a pilot program the two organizations developed. â&#x20AC;&#x153;At the Y we are committed to building partnerships and collaborating with others to build a stronger community,â&#x20AC;? says YMCA Executive Director R.J. Bartels. â&#x20AC;&#x153;We look forward to working with the Alive Center to provide teens a safe place where they have opportunities to discover who they are and what they can achieve.â&#x20AC;? TO CA D LL AY ! Closet Factory has helped bring order to my chaotic lifeâ&#x20AC;? Call us today for your FREE design consultation. Mention our â&#x20AC;&#x153;Spring Cleaning Promotionâ&#x20AC;? to receive up to 10% off*! Text ORGANIZE to 630-541-9777 and receive your complimentary copy of the ebook â&#x20AC;&#x153;How to Organize your Closet-Spring cleaning to get your closets organized.â&#x20AC;? *10% on garage and pantry projects (and 5% on all other projects) over $2500 up to $1000. Offers cannot be combined. Expires 5/15/19. ÂŠ2019 Closet Factory. All rights reserved. from my mom,” Lodico-Matus says. Inspired by the wedge salad with homemade dressing that her mother used to make, she’s serving an iceberg wedge topped with sweet candied bacon, tangy marinated tomatoes, charred corn, and one of four housemade dressings (the Ooo-Lala Garlic was my personal fave). The salad is part of the restaurant’s five-course supper, an impressive value at $35. Other courses include citrusy walleye ceviche with dreamy house-baked bread, a relish tray with creamy beer cheese, and olive-gorgonzola dip and roasted chicken with root vegetables. There are 10 or so other entrées— including garlicky shrimp de Jonghe, mussels with little neck clams and a bone-in rib eye—that you can order separately or as part of the supper for an upcharge. The most decadent choice is a 22-ounce double-cut veal chop topped with lump crabmeat. “[When someone orders it,] the restaurant comes to a halt because it’s huge,” Matus says. “It looks like what Barney [Rubble] would be driving in The Flintstones.” There’s just one dessert on offer: a killer Key lime pie made from a treasured Matus family recipe that incorporates ginger for a touch of spice and salted cashews for a rich, nutty crust. If you’re not a pie fan—and in that case, you’re missing out—there are also some thoroughly throwback dessert drinks, such as a grasshopper or brandy Alexander. At the evening’s end, I left refreshed to see a new restaurant zigging while everyone else is zagging. This modern supper club remix is a novel addition to the local dining scene—and a cure for the common date night. From sun kissed beaches and adventure sport, to gourmet dining and sumptuous suites…. It’s all included! Sauté ginger, garlic, and chili in rice oil. Add red onion and sweat lightly, stirring constantly. Add sake, rice vinegar, soy sauce, and sugar, then bring to a quick boil and cook until onions are al dente. Strain and reserve. Combine soy sauce, sake, caster sugar; whisk to dissolve. Add shichimi, sesame seeds, garlic, ginger, spring onion. Add to apple mixture. Warm the mustard seeds in a small pan gently to extract oils and flavor. Crush seeds with the back of a knife and add to dressing. Add sesame and rice oil to finish. Place the tuna fillet in a Ziploc bag with half the dressing; marinate for at least 10 minutes (or overnight). Heat a medium skillet on medium high until hot and remove tuna from marinade. Slice into 1/2-inch slices, top with spicy red onions, and serve with apple mustard dressing. Whether you're looking to host an engagement party, bridal shower, reception dinner, or day-after brunch, Maggiano's has an elegant space that is just right for your event. Receive a $50 bonus card for every $500 based on food and beverage subtotal only; not applicable to tax or event fee. Coupon code: 85. For wedding events only (showers, rehearsal dinners, wedding receptions, engagement parties, day-after brunches). Not valid with any other discounts, offers or special menus. Not valid on existing bookings. Private rooms are subject to room minimums. Events must be booked by 12/31/2019. let the VOTING BEGIN Your opinion matters! Our 2019 Best of Naperville readersâ&#x20AC;&#x2122; choice poll has begun, and voting will continue through June 1, 2019. Whe re do y ou e at th e b e s t bur in to g er wn? W ho g b est ives m a ssa th e L et u ge a s kn roun ow y d? New our f cate a vo r i gorie t e s! inclu s thi d e re s yea gion r coffe al cu e sh o isine p, liv , venu e mu e , an s ic d mo re . *OFFICI A L RU LES Online submissions are limited to one vote per e-mail address; duplicate entries will be deleted. Each vote will be authenticated through the email address provided. Votes that are not validated will not be counted. Entries will be monitored and businesses will be contacted for suspicious voting patterns/ballot stuffing. Executive chef Victor Martinez extracts honey from a beehive at Oak Brook Hills Resort. Exceptional Servicce. Award-Winning Food. Presented with Style. For your next bridal shower, baby shower, rehearsal dinner, corporate event or any family event. Creating events filled with a wow-factor for you and your guests to enjoy! After the vows are recited and the first dance is waltzed, every wedding guest is ready for the sweet stuff. Though a wedding cake should provide the decadent finale to a joyous day, it also should reflect the vibe of the celebration at large. We enlisted the expertise of local bakers to share how they created specialoccasion cakes in distinctly different styles, from an oh-so-trendy naked cake to a towering, sparkly stunner. Yellow cake provides just enough contrast against white buttercream. “We can do a seminaked cake with chocolate or fruit flavored [frosting], but 99 percent of the time, it’s vanilla buttercream,” says Michelle Adams, CEO of the Sugar Path in Geneva. Cox finished off the base of the cake by piping on a simple pearl border with Swiss meringue buttercream. Cox prefers to use edible flowers on her cakes; this one features blue delphiniums, white lisianthus, Champagne anemones, and white heather arranged in an asymmetrical design. “When I’m putting flowers on a cake, I like to have your eye move around the cake a little bit,” Cox says. She also garnished the cake with fresh plums to coordinate with the couple’s sweets table that featured an assortment of fruit-themed treats, including marzipan figs and candied citrus slices. “I loved that one plum that just seems to be casually placed on the stand,” Cox says. For a dazzling black-tie bash For finishing touches, Greatrix added a matte black “Mr. & Mrs.” topper and white blooms provided by the couple’s florist. Inspired by the bridesmaids’ gold lace gowns, Greatrix created edible lace by pressing a sugarbased paste into a mold. When dry, “it bends like lace, it feels like fabric and it’s flexible,” she says. When you have a big guest list, you’ll need a big cake. Victoria Greatrix, owner and pastry chef at the Quintessential Cake, designed this dramatic beauty to feed 175 guests at an elegant and formal holiday season wedding. Though it appears to be five tiers, it’s actually six, with the tallest tier made from two identically sized tiers stacked one atop the other. Taking a cue from the couple’s gold glitter invitations, Greatrix dusted the second and top tiers with sanding sugar that she dyed gold to match the lace details. “[The bride] wanted something festive because it was a Christmas wedding,” she says. To emulate sequins, Greatrix cut tiny discs out of fondant, painted them gold and applied them one by one to the cake’s first tier. She also wrapped real fabric ribbon around the base of each tier. Adams thinks that thoughtful garnishes can make this work for any style of celebration. “You can definitely make a naked cake look very rustic for a farm wedding, or you can also make it look great in an industrial setting … or a more elegant venue, where the flowers start at the top and go all the way to the bottom,” Adams says. For a feminine fete “This is our most popular design,” says Alicia Gozum, owner of Cali Girl Cakes. A crown of fresh pale pink and white roses provides texture and polish. “We can also do silk flowers or we can make paste flowers,” she says. Gozum coated the top tier in meringue buttercream before covering it with pink fondant. She then used a diamond-shaped tool to create a dimensional geometric pattern that resembles quilting. “You can’t press too hard or you’ll cut the fondant, but if you press too lightly it won’t make an impression,” she says. Candy pearls called dragées mark the corner of each diamond shape. “We use a very thin paintbrush and put a little dab of water on it and handattach each dragée,” Gozum says. The bottom tier is covered with pink buttercream rosettes that are piped on by hand. “We use a onemillimeter star tip [on a pastry bag] and then we just go row by row,” she says. of individual style can look for an underlying color, or accessories like veils. “Cathedral veils are making a huge comeback,” says Vicki. “It adds a lot of drama to the look of a gown.” Although veils come in a variety of lengths—from 20-inch modern veils that just cover the face, to dramatic cathedral-length veils like Meghan Markle’s—Vicki recommends adding a long, coordinating veil to any dress with a soft-flowing skirt. “It looks very romantic and whimsical,” she adds. Sue Cerelli, who owns Bri’Zan Couture in Naperville, agrees. “Cathedral-length veils that are very embellished are absolutely on trend right now.” Bri’Zan specializes in custom-designed dresses and veils, so brides can add sleeves or embellishments to create any style. “We can customize veils to match the dress exactly. Not many stores do that.” Although she agrees that the clean, classic looks of the royal weddings have influenced today’s styles, a lot of Cerelli’s brides are adding three-dimensional elements to their gowns, such as encrusted crystals and pearls. “It adds the perfect, elegant touch to any gown and silhouette shape. All-over sparkle is very daring and sophisticated. You want it to be classic, but on-trend as well, with some modernization.” The elegant Olyssia gown from Maggie Sottero (The Crystal Bride, Geneva, $900 to $2,100) features a bateau neckline similar to Meghan Markle’s, with lace illusion sleeves and a detachable overskirt. Justin Alexander’s timeless long-sleeve crepe dress (Wolsfelt’s Bridal, Aurora) features a fit and flare silhouette with a bateau neckline, similar to Meghan Markle’s Givenchy dress (p. 80). Attendants in British royal weddings tend to be children— relatives or kids of the bride and groom’s inner circle. Whether in a Bentley, Rolls-Royce, or horse-drawn carriage, royals always ride to or from Windsor Castle in swanky style, while commoners struggle to get a glimpse of the royal wedding procession along the Royal Borough of Windsor. Reception ride or getaway car? Live out the latter— and your 007 fantasies—cruising away in a rented Aston Martin Vantage from Exotic Car Collection (exoticcars.enterprise.com). (davidsbridal.com), we came up short finding a local vendor for the British Blues and Royals frock coats for the juvenile gents in your ceremony. But if suburban malls don’t have it, you don’t need it… Head to Wave Kids at Stratford Square Mall (Bloomingdale) or Kidco at Yorktown (Lombard) to find formal attire for the smallest members of the your wedding party. This bride’s cascading bouquet of stephanotis and lily of the valley mirrors the flowers her mother carried, adding local spirea blooms as a modern twist. udos to Marie Kondo for closets recently liberated from ancient, nonfitting remains. You’ve thanked formalwear (that wasn’t worn) and concert T-shirts (that shouldn’t have been) for their service. Now what? From the relaxation of a Natura Bisse® facial, awarded World’s Best Spa Brand, to the reverse aging effects of the original Dr. Schrammek GREEN PEEL® to waxing services, lash lifts, tints and extenstions – spa MA is beauty reimagined. Save $1500 when booking a wedding ceremony and reception on a Friday or Sunday. * Contact a Cantigny planner today: 630.260.8145 or weddings@cantigny.org. *Valid only for new events in 2019. Excludes previous bookings. Offer may not be combined with any other offer or discount. Event must be booked and contracted through a Cantigny Sales Manager. Offer based on availability. All event bookings are subject to food and beverage spending minimums. All events are subject to the terms and conditions as outlined in the event contract. PAINT JOB An Exclusive Ceramic Coating System with unique advantages that no other paint or coating could offer today. Smallcakes be part off Your Big Day! WE OFFER A FREE WEDDING SAMPLER Call for more details! How many times will you hear"Smile! "on your wedding day? We can make those pearly whites look their best! These programs are partially supported by a grant from the Illinois Arts Council, a state agency. TRUCK F E S T I VA L ! DON’T REPLACE SUNKEN CONCRETE! Save up to half of replacement costs with our proven way of raising concrete! NEW DINE E-NEWSLETTER Our DINE e-newsletter is a foodie’s delight— full of restaurant reviews, recipes and a comprehensive guide to dining in the western suburbs, delivered to your inbox twice per month. CONSUMMATE CLOSET Hanging clothes, from left to right Black slim trouser, $89.50, J.Crew. Wine wideleg trouser, $49.90, Zara. Black essential cropped flare trousers, $98, Anthropologie. Belted pleated skirt, $69.90, from Zara. Paper-bag waist denim skirt, $89.50, from Banana Republic. Black pencil skirt, $99, White House Black Market. Printed empire waist dress by A.L.C., $595, from Nordstrom. Wine blazer with three-quarter ruched sleeve, $119, Zara. Black two-button schoolboy blazer, $148, from J.Crew. Medium wash denim trucker jacket, $98.50, Banana Republic. Light wash chambray button-front blouse, $63.99, Banana Republic. Floral print blouse, $59.50, Loft. Cream blouse with contrasting piping, $19.99, Zara. Washable Merino side-stripe sweater in light camel, $79.50, Banana Republic. Under hanging clothes Leopard mules by Bleecker & Bond, $TK, DSW. Black studded mules by Dolce Vita, $TK, from DSW. Blush midcalf boot by Charles David, $TK, from DSW. Top shelf Necklaces and bracelets from J.Crew and Francesca’s. TK hat, $TK, from Banana Republic. Second shelf Grey ruched midcalf boot by Halston Heritage, $TK, from Nordstrom. Third shelf Black Faux leather and straw circle purse, $TK, Anthropology. Eggshell sling back pointed toe square heal flat by Franco Sarto, $TK, from DSW. Fourth shelf (top to bottom) Wine super soft sweater, $19.90, Zara. Camel relaxed sweater hoodie, $98.50, from Banana Republic. Blush super soft sweater, $19.90, Zara. Camel super soft sweater, $19.90, Zara. Light wash distressed crop jean, $128, J.Crew. Black high rise skinny jean, $89.50, J.Crew. Floor Hat boxes, $24.99/ set of 2, from The Container Store. Lucite-handled tote bag, $68, Anthropologie. Iris metal and wood rack, $79.99, from Amazon. Christian Siriano rug, $39.99, from Home Goods. 850 VALUE AND YOU PAY $400! The Perfect Day Wedding Coordinators will make sure Your Event will be Flawless! Conveniently located at Seven Bridges, we offer a complete line of podiatric services to keep your feet healthy! Illinois Velocity Restoration works directly with you and your insurance throughout the entire claim process! WRITING AND PERFORMING You can write all the jokes in the world, but it doesn’t actually become a joke until someone laughs at it. Creating new content, staying fresh, developing a timing and a delivery, all starts with writing and performing. ENERGY OF A LIVE PERFORMANCE Standup is one of the purest forms of art, in the sense that you’ve created something and you instantly know if it’s good or not by the response of the audience. I also love to make people laugh. BEING A 2015 SEMIFINALIST ON LAST COMIC STANDING LCS was dope. It definitely ranks up there with my other standup experiences. I wanted to go further, but making it to the top 40 after they had looked at over 5,000 comedians is something to feel good about. In the end, it’s all about validation. Everyone needs it in their line of work, and with standup, entering comedy competitions is a good way to validate that the way you write, the way you perform, and your overall thought process is good enough. 2400 East Geneva Street | Delavan, WI LakeLawnResort.com | 262.728.7950 Just minutes from downtown Lake Geneva! Get soci a l wi t h us! Sunday, May 12th THREE SEATINGS 10:00 a.m. | 12:30 p.m. | 4:00 p.m.